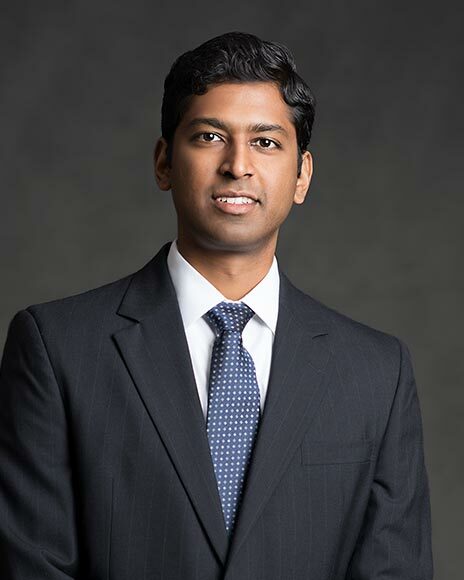 Dr. Gumidyala is Board Certified by The American Academy of Orthopedic Surgeons. His specialties are surgical and non surgical care of the cervical, thoracic, and lumbar spine including complex spinal deformity surgery, minimally invasive spine surgery, injection therapy, and kyphoplasty. He sees patients from all over the Metro Atlanta area. Dr. Gumidyala received his Medical Degree from the University of Illinois College of Medicine at Peoria. He completed his Residency in Orthopaedic Surgery at the University of Tennessee/Campbell Clinic. He then completed an Orthopedic Spine Surgery Fellowship at the University of California – San Francisco. Prior to receiving his Medical Degree, Dr. Gumidyala received his Bachelor of Science Degree from Duke University. Dr. Gumidyala lives in Marietta with his wife and children. In his free time, he enjoys spending time with his family, tennis, and running.